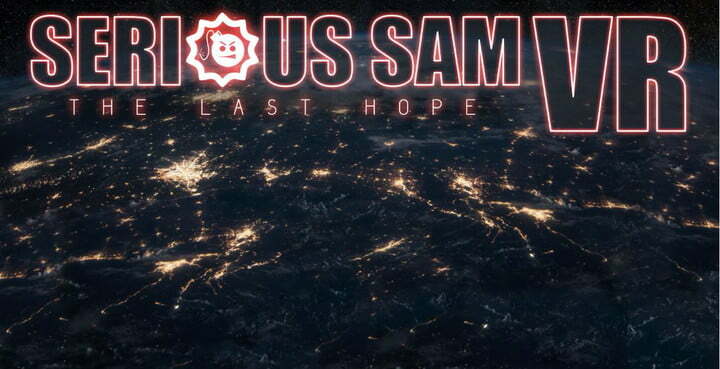 Indie developer Croteam and publisher Devolver Digital are teaming up to produce Serious Sam VR: The Last Hope, a frantically paced first-person shooter that channels the genre’s arcade-inspired roots. Croteam also revealed that it turned down “a [ton] of money” in exchange for Oculus Rift exclusivity, indicating that Serious Sam will be compatible with multiple VR devices. The Serious Sam series dates back to 2001, with the launch of Serious Sam: The First Encounter. Multiple sequels, remakes, and spinoffs have premiered in the years since. 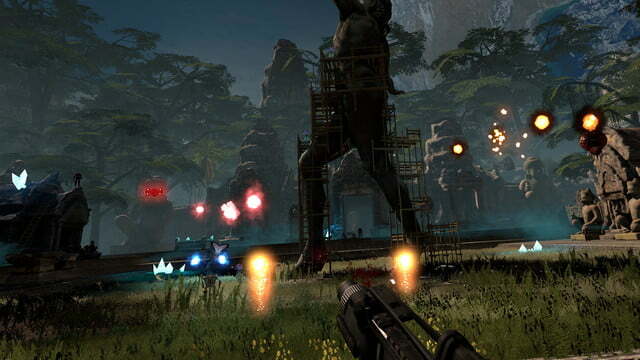 Series creator Croteam produced a prequel, Serious Sam 3: BFE, in 2011 before shifting its development efforts toward 2014’s The Talos Principle. 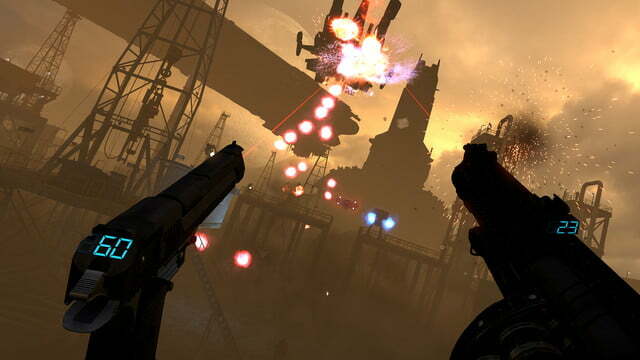 Serious Sam VR’s mission-based structure is similar to that of its series predecessors, giving players the ability to “explore multiple levels on multiple planets.” In addition to squaring off against enemy swarms, protagonist Sam “Serious” Stone will also face massive bosses that challenge the size and scope of traditional VR experiences. 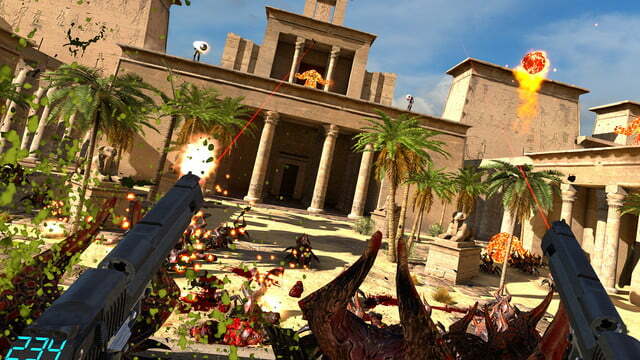 While the trailer above reveals only tiny snippets of Serious Sam VR‘s gameplay, the concept apparently impressed social media company and Oculus Rift owner Facebook. 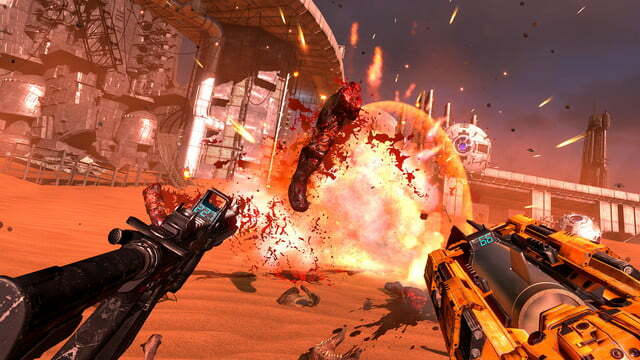 Facebook reportedly attempted to secure Serious Sam VR as an exclusive release for the Oculus Rift VR headset — an offer that Croteam later rejected. Eagleshadow later confirmed their identity as a Croteam employee in a follow-up post. Facebook’s exclusivity offer will apparently not affect Croteam’s release plans, as this week’s trailer features Oculus and Vive logos, suggesting that Serious Sam VR will be compatible with both headsets. Serious Sam VR will make its PC debut via Steam Early Access this summer.